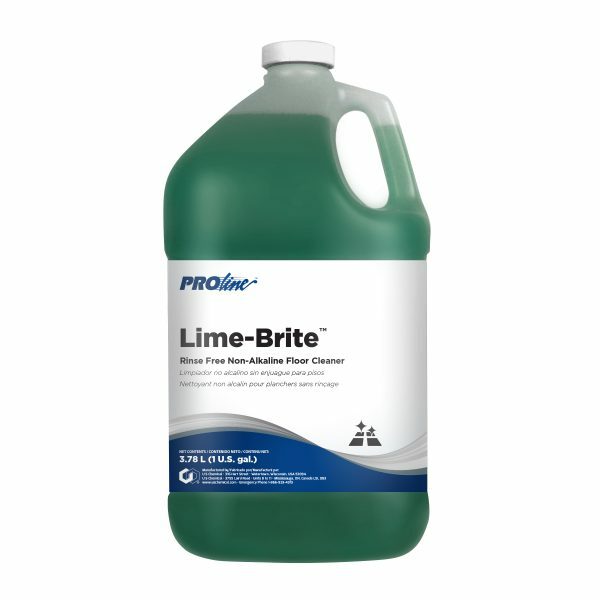 Lime-Brite™ is a general purpose cleaner formulated as a non-alkaline, rinse-free detergent that cleans vinyl and asphalt flooring, vitreous terrazzo tile and polished concrete. It is rinse-free, leaves no dulling residue, saves time, labor and money. It deodorizes with its pleasant lemon-lime scent.